With 2 studios, the Power Center offers classes to meet all of your needs. 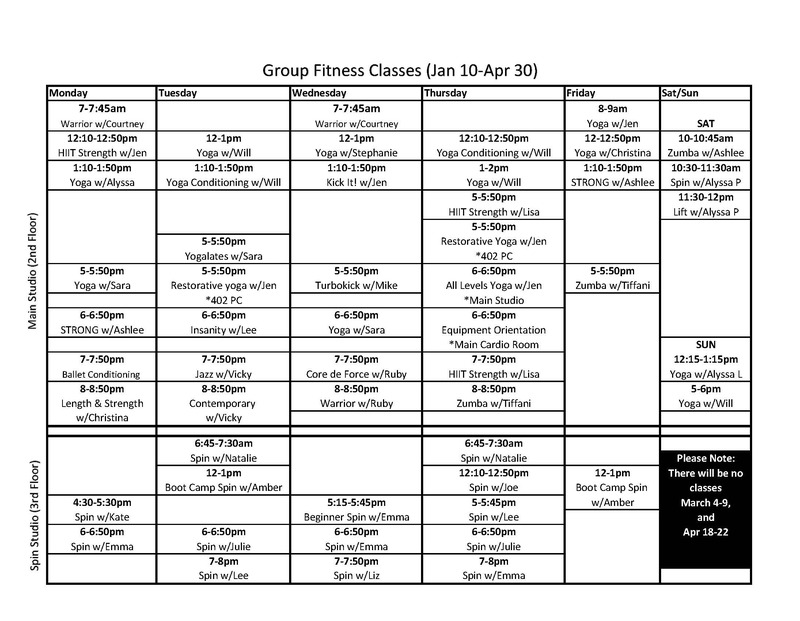 Whether you are interested in kickboxing, zumba, spinning, pilates, or yoga, we believe you can find a high quality class to fit into your demanding schedule. To receive notifications regarding new classes, cancellations, and other wellness information, like us on Facebook! Check out our facebook page for changes to the Spring schedule! All classes are open to faculty, staff, and students of Duquesne and are FREE with no need to sign up! Bring your University ID, towel, and water bottle!